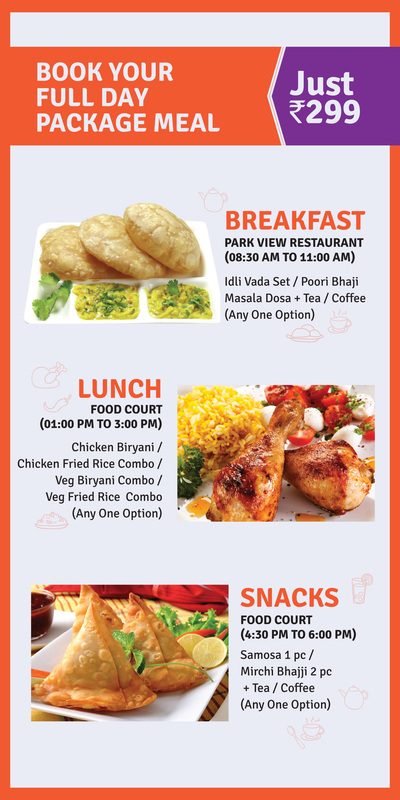 Wondering where to have to have your fill of food while having a fantastic time at India's #1 Amusement Park? 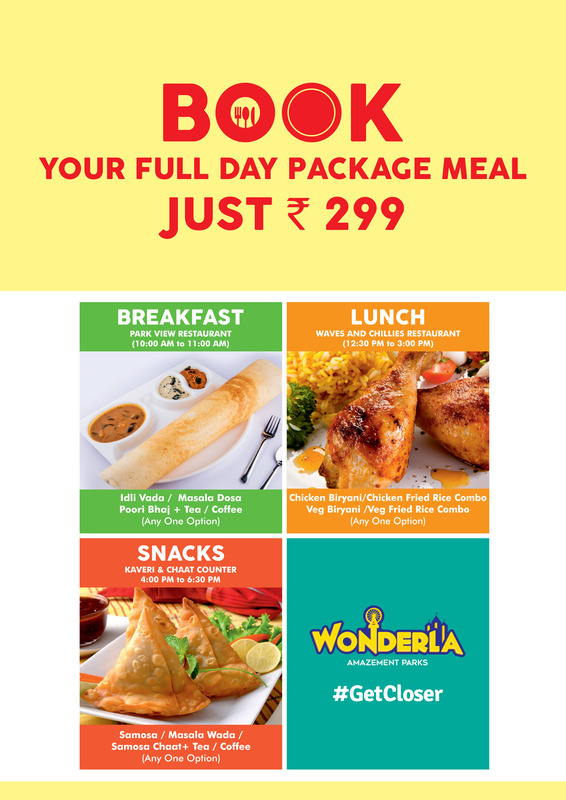 We bring an end to all your food related woes, while at Wonderla! 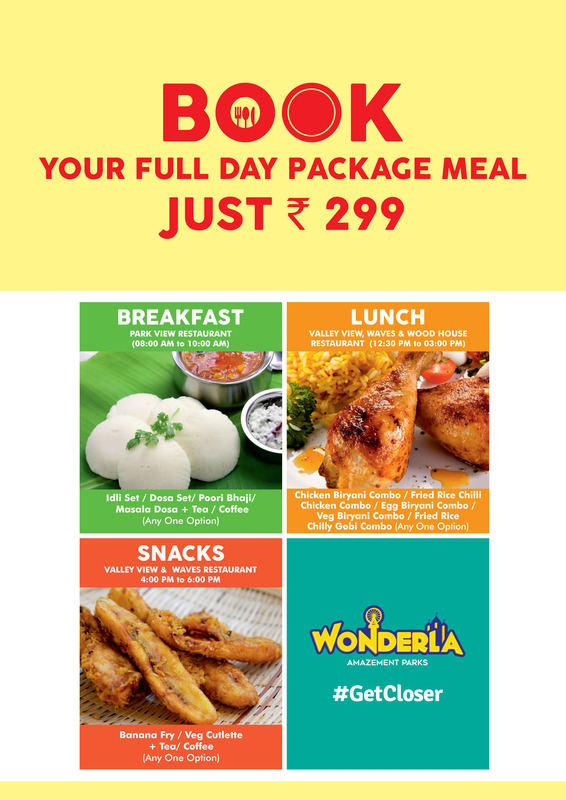 Get three, scrumptious meals [breakfast, lunch and snacks] inside the park, all for INR 299 or two meals [lunch and snacks] for INR 249! Book your food coupons along with your entry ticket and rid yourself the trouble of planning what to eat. Because, when you're at Wonderla, the only thing that you should think of is - "Which ride should I go on, next?" 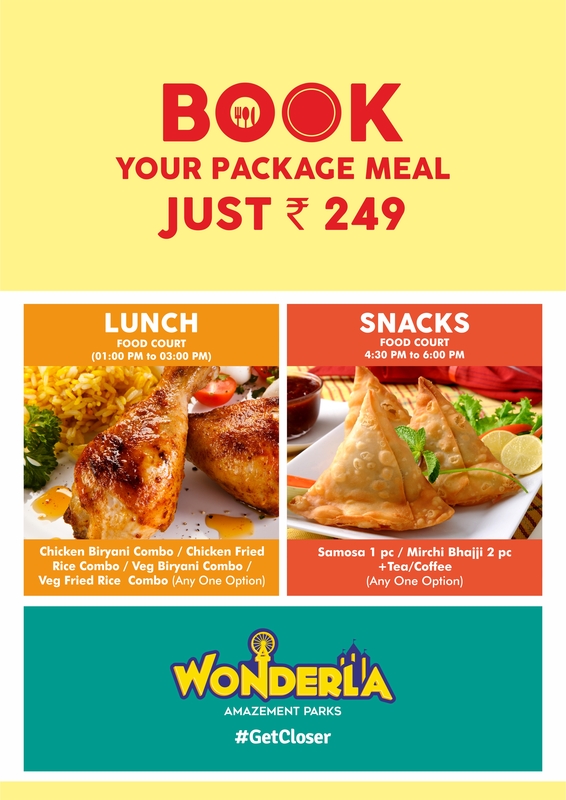 The 'Full Day Package Meal' coupon costs INR 299/- and the 'Package Meal' coupon costs INR 249/-, is inclusive of all taxes. 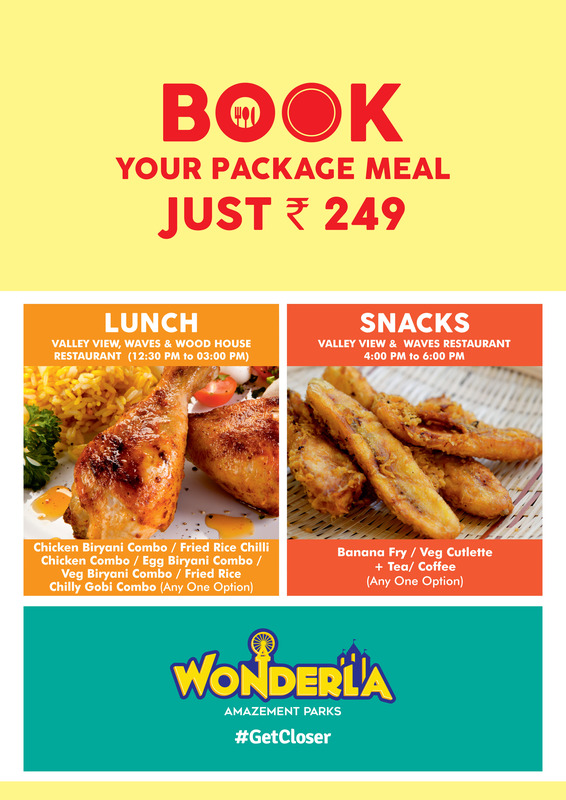 These packages can be bought from www.wonderla.com as well as our park cash counters. Patrons should collect the coupons [along with the entry ticket] from the counter before entering the park. Patrons should redeem the coupon by handing it over to the cashier at each of the restaurants. The cashier then tears off one of the coupons to redeem. Only one 'Full Day Package Meal' coupon is applicable per ticket and no change/cash can be taken in exchange of this coupon. The company reserves the right to amend these terms & conditions without prior notice.